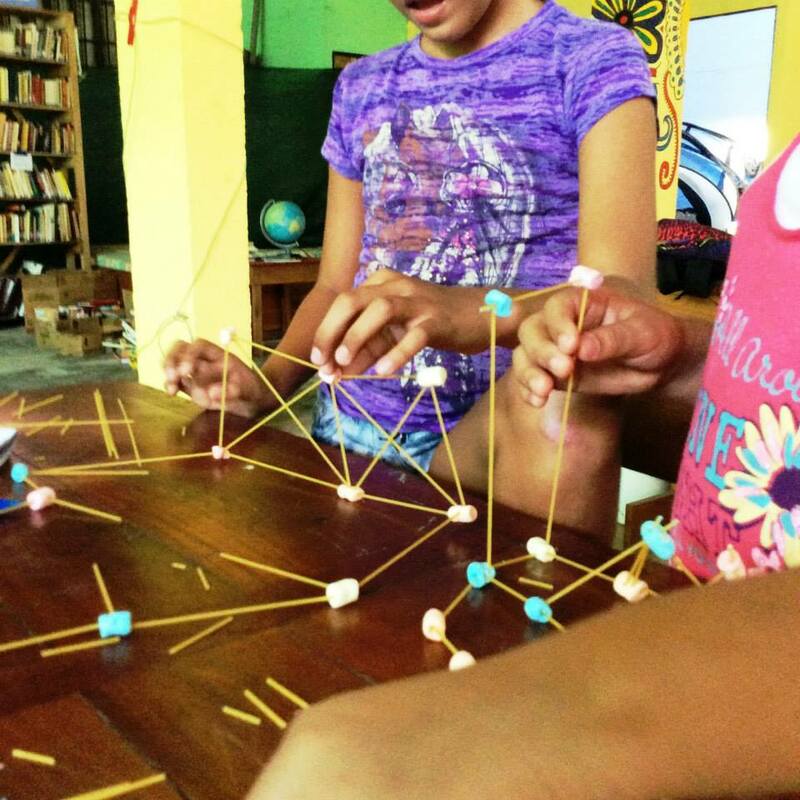 Children at Asociacion CREAR in one of the poorest areas of rural Costa Rica recently teamed up with students at a summer program in Houston, Texas, for two hands-on STEAM (STEM + arts) courses focused on developing skills for the 21st century. Together, they took Global Minecraft Builders and Pied Piper Engineering with Level Up Village, a provider of global STEAM enrichment to more than 50 U.S. schools in 12 states and over 30 Global Partner organizations in 19 countries. “At first, before the students received their first video messages, they were confused by the concept. But once they began to interact back and forth with their partners, they were so excited about class and sharing information with someone from another country,” said Andrea Keith, Program Director, Asociacion CREAR. When U.S. schools partner with Level Up Village, a portion of the tuition is used to directly sponsor STEAM education at one of LUV’s 30+ Global Partner organizations in the developing world. CREAR – one of LUV’s newest Global Partners in Latin America – didn’t have any computers for the 200 children it serves, so Level Up Village donated five laptops in order to help build the infrastructure required for the organization to run its technology-based courses. “One of the main pillars of our mission is to provide supplemental education that could potentially lead to career opportunities for youth with limited resources in our area. Through the LUV technology classes, we are able to truly aid our students with life skills that can give them the upper hand in the professional world.” – Andrea Keith, Program Director, Asociacion CREAR. CREAR teacher Kimberly Eraca explained that prior to the Minecraft course, the children had never used a computer at home or at school. For their final project, kids from CREAR and their partners in Texas built a Minecraft town together. While creating it, they found ways to communicate within the game itself. “We each built houses but in the same community, and we were able to go in and look at each other’s houses and see things that our U.S. partners liked. The CREAR kids left clues to show their interests and they did the same,” said Eraca. Johannah Waite, another teacher for Asociacion CREAR, felt that the video message exchange made the experience even more meaningful. “They enjoyed the Minecraft portion, but it was the video exchanges that brought it to life for them and made it real. It was a great means for cultural exchange,” said Waite. 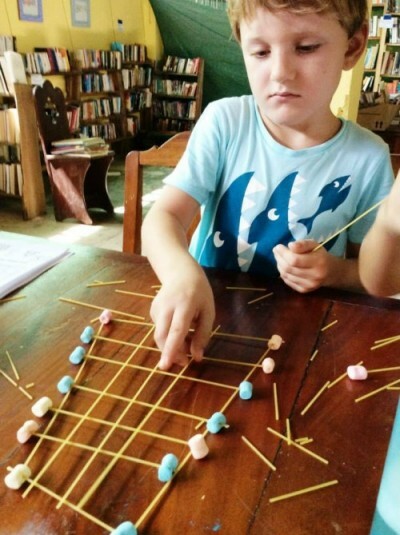 The younger children took Global StoryBook Engineers, a course which combines engineering with literacy. Students listened to popular fairy tales and then used a variety of materials to engineer solutions for the characters in the stories. 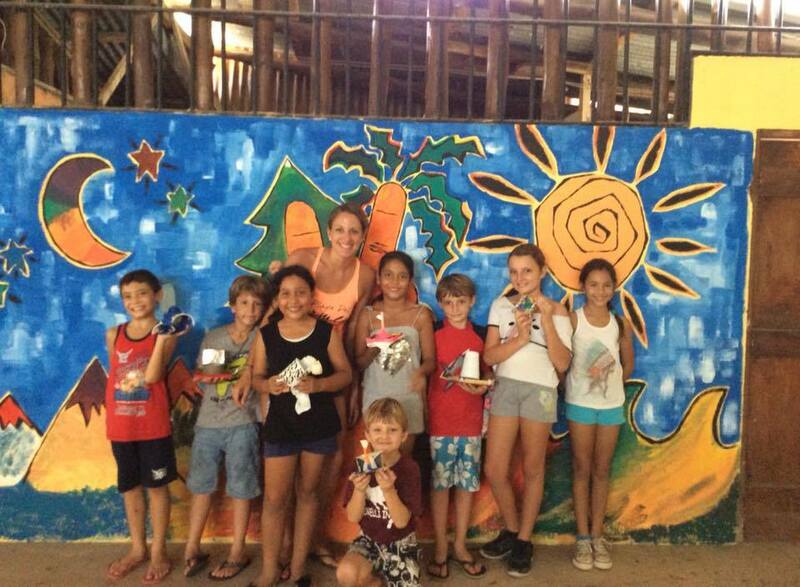 For one class project, they built a boat to carry mangoes with aluminum foil, plastic wrap, waxed paper, Styrofoam, cups, craft sticks and rubber bands. During each class period, the children discussed their projects with their U.S. partners and learned more about each other’s lives. “The kids really enjoyed talking with their partners from the states. Their questions were so funny, yet really accurate because things are so different there,” said Eraca. In September, CREAR plans to offer several more Level Up Village courses and also use the new laptops for other computer classes and community programs.